Posted January 4, 2017 by John Fithian & filed under News, Reel Blog. Virtual reality (“VR”) is the new, hot thing in entertainment. Both major content and technology companies have developed VR applications and are devoting significant R and D to the space. Consumers are buying VR headsets for Christmas presents. And movie theaters are evolving to include the VR experience. But in the end, will the advent of VR be a good or bad thing for the exhibition industry? In this column two NATO colleagues square off on the topic. Phil Contrino, the millennial, serves as NATO’s Manager of Research and Data. And John Fithian, the old guy, is NATO’s President. Phil – VR will create intense competition in the gaming world, but it won’t directly compete with feature-length films. People like to leave their homes and do stuff together. It’s that simple. That’s why theatres continue to prosper despite an overwhelming amount of entertainment options in the home. It’s important to view VR as something that will take time away from in-home options and not necessarily out-of-home options. Video games that use VR in engaging and innovative ways will steal attention from those that don’t use it well/or don’t use it all, but gamers will still love going to theatres—even if they are coming in rapidly growing numbers to watch other people play games instead of Hollywood’s latest efforts. VR is simply a different experience—and different really is the key word here. It’s important not to use “better” and “worse” when comparing VR to theatrical releases. Sometimes people will crave the visceral experience that VR provides, and at other times they will crave the experience of being completely engrossed in a theatrical release over the course of two hours. John – VR may become a direct competitor – for the consumers’ leisure time. Let’s hope VR stays limited to shorter length content. Though going out to the movies will always be different than entertainment in the home, consumers only have so much available leisure time. Before the advent of television, Americans went to the movies thirty times a year or more, now it is less than four. Movie theaters remain profitable by continually improving the offering, including sight and sound, so that the home experience remains inferior. But the VR experience in the home will be very similar to the VR experience in the cinema. As consumers dedicate a greater percentage of their leisure time to VR, that time will be spent mainly in the home. Hopefully feature length movies will never be commercially viable in VR! Phil – The side effects of virtual reality will limit it as a platform that can match the duration of feature-length films. In its current form, virtual reality is best for quick bursts of content and not a sustained narrative. Some people who try out VR experience a wide range of drawbacks such as seizures, headaches, nausea, dizziness, or trouble with hand-eye coordination—in these cases using VR for an hour and a half would be impossible. Even people who have no physical problems with VR in short bursts may end up having problems if they use it for too long. As the technology improves, these side effects will likely be reduced, but there will always be a portion of the population that just doesn’t enjoy VR because of physical reasons. John – VR could become a transformative way to experience content. But ultimately that experience will occur in the home. One can watch movies (or television programs) at home, or watch movies in the cinema. The cinema offers the superior experience in sight and sound, and it is social. Video games started as a social experience in arcades, then migrated to the home, and are now being experienced in cinemas too. Video games can be a solitary or a social experience. VR, however, is completely solitary. Headsets transport the viewer/gamer to a different world where they cannot see anyone standing or sitting next to them in the real world. VR may only exist in the cinema as long as the technology is considered novel, and the device price points remain high. Once VR content is widely available, and headsets relatively affordable, why would anyone leave their home to experience VR? Phil – There are plenty of ways for movie theatres and VR creators to come together in order to make money. Imagine that a big-name director—Michael Bay and Steven Spielberg are already embracing this technology—wants to create a VR experience that really stands out and has all the qualities of a polished studio movie. Creating something like that wouldn’t be cheap. Releasing it to only people with VR headsets at home would limit its potential even when penetration of the technology reaches the bullish expectations placed on it. What kind of price point could VR creators working in a narrative format rather than gaming expect to ask for? Certainly not the same amount—north of $50—that the gaming industry can snag for new content. If Steven Spielberg makes a VR experience it will still be labeled as a movie and consumers will react accordingly. Would people want to own these VR experiences or just rent them? If the answer from most is “rent,” then the price point narrative content can expect drops again. It’s easier to justify the expense of creating quality VR if it spurs consumers to go to theatres for a continuation of the world they just enjoyed. This strategy has already been put in place with such successful titles as Interstellar, The Martian and Goosebumps and plenty more movies will be using it in the months and years to come. A theatrical release adds a pedigree to any film, and that pedigree comes with real financial value. Putting certain VR content into theatres will give it that pedigree. VR also has the potential to create a new type of programming for theatres. “VR Theatres” are already popping up all over the globe that allow people to sit in a chair for a given amount of time and consume a couple of VR experiences. If this format continues to gain popularity, it’s not hard to imagine multiplexes devoting space to cater to it. An expansion of VR options in theatres with strong grosses may spur more filmmakers to work in the format. If VR is still enjoyed in short bursts, imagine the drawing power of three major filmmakers producing 10-minute shorts that are sold together for the price of a movie ticket. There would be no complaints about the amount of showings that can fit into a day! John – Full-length, theatrical movies, remain the bread and butter of the exhibition industry even with alternative content and now VR in cinemas. Maybe the millennial is right. 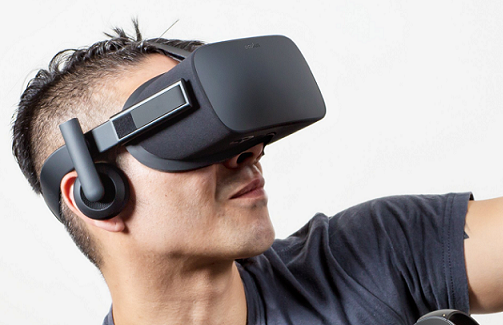 Maybe VR isn’t a big threat after all, but it probably isn’t a big win for exhibition either. With the advent of digital cinema, some industry observers heralded the coming growth of alternative programming in cinemas with a belief that such programming could produce substantial revenues. And to be fair, there have been some surprising successes – such as opera. Nonetheless, digital cinema has now enabled alternative programming for many years, but non-theatrical content still constitutes low single digit percentage revenues compared to movies. Cinemas are now experimenting with gaming in theaters, and also VR short programs. Yet I can’t imagine that VR will ever grow in the theatrical space to be much more than lobby programming or small, short programs in a designated auditorium. Even if VR does not pose much of a threat, I don’t see it as a big win either.